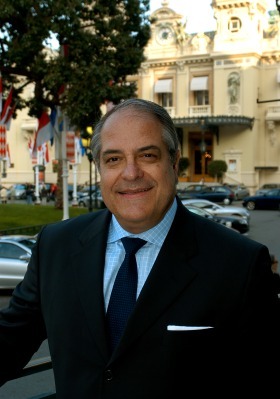 Q& A BERNARD Lambert, CEO, Monte-Carlo S.B.M. Bernard Lambert is one of the key players in the international luxury business world. He studied hotel management in his family's hometown of Nice, rising to became President and CEO of Méridien group in 1997; he retained that position until he moved to Monaco and was appointed CEO of Monte-Carlo S.B.M. in 2002. His vision has given new impetus to Monte Carlo, successfully bringing in modern ideas while retaining the heritage and elegance of the resort. Bernard Lambert and his team are following an ambitious plan to bring the highest standard of luxury back to Monaco while staying trueto its legendary character. Under his visionary guidance they are succeeding. You have vast experience in the hotel industry, what inspired you to get into the hospitality business in the first place? Having no family in the hospitality business, there was no proper reason for me to get into this business in the first place but I was keen on languages and travel and I believed that this could be a good opportunity to improve my skills. What is the single best/defining thing about the Monte-Carlo S.B.M. Hotels? Luxury, in a magic and secure place. You have some wonderful historical hotels in Monte Carlo such as Hôtel de Paris and Hôtel Hermitage. How do you retain their character and yet keep them up to date? The idea is to offer to our guests a true actual experience within the frame of a 1800/1900 building. We keep the original splendour but we introduce contemporary designs in terms of upholstery, cusines amenities, technical services and above all, we keep up a tradition of service and excellence in addressing clients needs. From my point of view, the next luxury travel trend will be personalised experiences. People want experiences that are fun, up-to-the-minute and entertaining but that are truly different and have the 'wow' effect. A sense of arrival in a hotel; both in terms of physical aspects and personnel aspects. I also look at the cleanliness of the public bathroom. Forte Village Sardinia, which combines elegance, entertainment, fun and quietness. The Touessrock in Mauritius for the same basic reasons but also for the private beach and the sense of being home. Any restaurant at The Peninsula in Hong Kong. Singapore Airlines, for the comfort, space and luxury service. My daughter's picture, my Blackberry and white shirts. What is the one luxury travel expereicne you will never forget? A short visit on the "Ile des Pins" (Island of Pines) in New Caledonia where I met true luxury in a very small resort in untouched surroundings. ... but what it cannot buy is safety and security.